A recent report by OmniGov IQ, a fleet market intelligence company, stated that bids for government outsourcing of routine maintenance increased by 40% in 2017, from 2,227 to 3,181. The report explained that as vehicles have become more technologically advanced, ‘the work of maintaining government fleet vehicles has become more high-tech and specialised and many government agencies don’t have specialists on their staffs that can do this work’. Steve Saltzgiver, Previously fleet manager for one city, two states and two corporations, an executive director of the National Conference of State Fleet Administrators and currently a member of the NAFA board of directors, is well-placed to say what impact is likely, if the trend continues. How does that report square with what you’ve been seeing over the last six years? We’ve been [predicting] that for a number of years now, our president Paul Lauria and I and most of our team. We call it the ‘Brain Drain Convergence’. Yesterday’s mechanics are now becoming highly skilled technicians who must understand how to diagnose and repair complex vehicle systems. We’re having the biggest exit from the mechanics’ space ever in history with the Baby Boomers retiring – requiring more skilled technicians, which is converging simultaneously with increased complexity of vehicles. Those two factors are driving these kinds of changes, because people simply don’t have the resources to train people – the increased complexity requires an intense amount of training to keep technicians up to date. The other thing that’s happening simultaneously is that people aren’t going into mechanics any more. There are all types of incentive programmes, new entrant programmes, and recently President Trump even brought back apprentice programmes. There is a lot of focus right now going into this because those of us who own cars are going to be in a world of hurt in the next five to 10 years because there are just not enough resources. I would say 15 to 20% may outsource routine maintenance. From my experience, that’s what I believe. The required tools, training and infrastructure involved to perform the routine vehicle diagnostics and trouble-shooting are becoming much more complex than in the past. There are now more than a dozen independent computer systems required to operate today’s modern vehicles with over 100 million lines of computer code on some models, which is about 14 times more than a Boeing 787 Dreamliner jet. The Millennial workforce seldom stay anywhere for more than two years. They’re upwardly mobile, trying to find that sweet spot to make more money, get more benefits. They’re nothing like the Baby Boomers who stayed for dozens of years with a single employer. One way to avoid getting blamed for the inevitable here is for fleet managers to start now to consider outsourcing routine maintenance? Yes. The fleet managers who don’t prepare are setting themselves up for some very difficult times somewhere down the road, and they’re not very far away. Of course, the other option is to review their current operations and determine what investments will need to be made to build up the infrastructure necessary to perform quality repairs to increasingly complex assets. 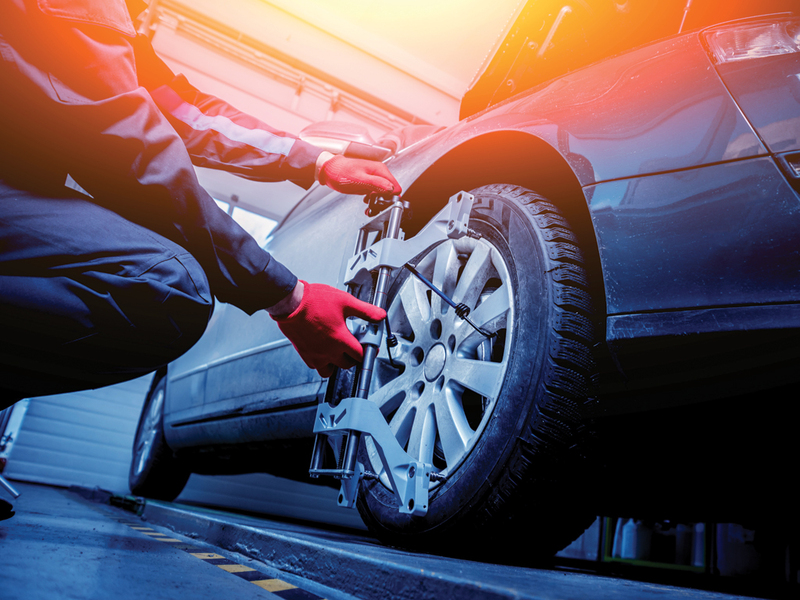 How common is it for government fleets to do routine maintenance and repairs on their own? Nobody has a real handle on that, but I would say that 15 to 20% outsource and 80 to 85% do it themselves – but every fleet is different. You’ve got everything from the state of Tennessee, which has pretty much outsourced its entire fleet maintenance, to the state of Utah DOT that does almost everything themselves. I have some clients who even do their own bodywork. Some do their own alignments and everything else. But the more typical model is they keep the routine stuff, like oil changes, safety inspections, light diagnostics and replacing parts, and they outsource the specialised stuff, such as bodywork, glass repairs, replacing tyres, and complex drivetrain repairs that are in warranty. Does it vary by fleet size or the location of the fleet depot? I think it’s a graduated scale. If you’re a very, very small fleet, most likely you outsource a lot more than if you’re a big fleet that is more self-contained and can do more. If you’re in a really rural area, and you don’t have capable outsource resources around, so, most likely you are doing your own. For example, a lot of the DOT depots in Utah are in the middle of nowhere with limited outsource capabilities, and other areas of the country are in a similar situation. Because of their remote location, there’s probably not a capable vendor in those areas that could do everything. Do government fleets that do their own routine maintenance know how much it really costs? No, most don’t. One of the things that government fleets have a problem with – and I know because I worked there – is they do not track their sunk costs. For example, a public fleet rarely puts into their technicians’ labour rate the cost of the building, the cost of the utilities, the cost of the administrative support personnel and activities. So, they’ve got a pretty hollow labour rate. What do government fleets believe is their hourly repair technician rate? A typical stated labour rate I see in government is between $45 and $65 an hour. By comparison, the private sector is usually between $100 to $200, depending on what part of the country you’re in and that’s a number that usually represents a fully-burdened labour rate. What do you tell fleets to do to understand just how much it costs to provide maintenance and repairs on their own? They need to do what we call ‘ABC analysis’ — an activity-based cost accounting exercise to identify their full cost of maintaining assets in-house. That means looking at all of their costs holistically; anybody who supports fleet, like HR, like IT, what the building utilities are, all the benefits for the mechanics, all the shop tools you have to buy, all the training, all the parts ordering, receiving, storing and distribution. There’s an allocated overhead somewhere that’s supporting you. You need to be sure you track all those costs. Knowing that is important for fleet managers to defend the way they do things. There are a number of outsource companies coming after the public sector because people can’t and don’t know their costs. These people are able to go to leadership and executives and show that they are less expensive than the government fleet. As a fleet manager, you want to have the full facts in your back pocket and know your costs exactly, so you can defend yourself. Let’s say I’m a state fleet, and I’ve got maintenance garages all over the state, and I own them. And I’ve equipped them with the hydraulic lifts and diagnostics equipment and all the tools. Then I find out it would be cheaper to outsource, and to do so I’m going to have to get rid of all that stuff. What are the things fleet managers need to do to cut the costs of the services they provide? I would recommend they take a very close look at all of their processes, such as the maintenance process. Take a particular vehicle in for maintenance or repair. Follow the job with a stopwatch and make sure you have no extra steps in there. And take several of your other key jobs and do the same thing. And then look at processes like the way you acquire vehicles, for example, or the way you process accident reports. Make sure you don’t have any bottlenecks or people involved who don’t need to be involved. It’s really about flow-charting, process mapping, and just taking the fat out of the processes, the unnecessary steps. You have value-added steps and you have non-value-added steps. I would wager that most people don’t look at that often enough.